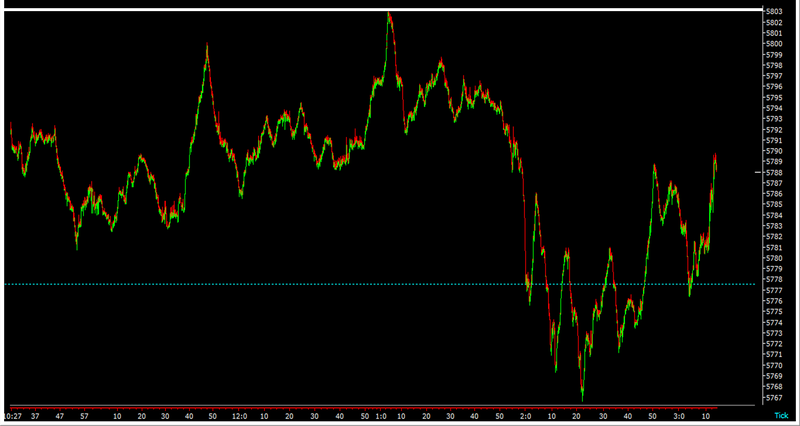 Nifty Intraday Chart: Nifty fails to move higher than 5804 the resistance level for the session. However the momentum towards downside is still lacking. We will get clear direction on Nifty in a day or two. Tomorrow being expiry, we expect Nifty to be volatile and provides good opportunity to go either way. Only Risky Positional Traders hold Long on Nifty, the rest can remain neutral in the market for the day.